Over the last 7 days, the Greater New York Red Cross provided emergency assistance to 109 adults and 52 children following 49 local disasters. Here are some highlights from last week and a preview of upcoming activities (see below). It was a busy weekend across the Greater New York Red Cross region. On Sunday our volunteers were at the ready to provide first aid support at the 2016 Manhattan Half Marathon. On the same day, Red Cross volunteers represented the Red Cross in the St. Patrick’s Day parade on Long Island. Over the weekend one of our longtime health services volunteers Debbie Hayden deployed to southeastern Louisiana to assist with the flooding still affecting the state. On Saturday Red Cross volunteers installed nearly 600 smoke alarms across the community of Port Richmond, Staten Island, and helped make the community safer. NY1 stopped by to help spread the word about fire safety. At the same time, volunteers were in Spring Valley where they installed more 160 smoke alarms. Also on Saturday, our Greater New York logistics team was hard at work training for “what if” scenarios, making sure they’re ready for whatever disasters might hit our region. 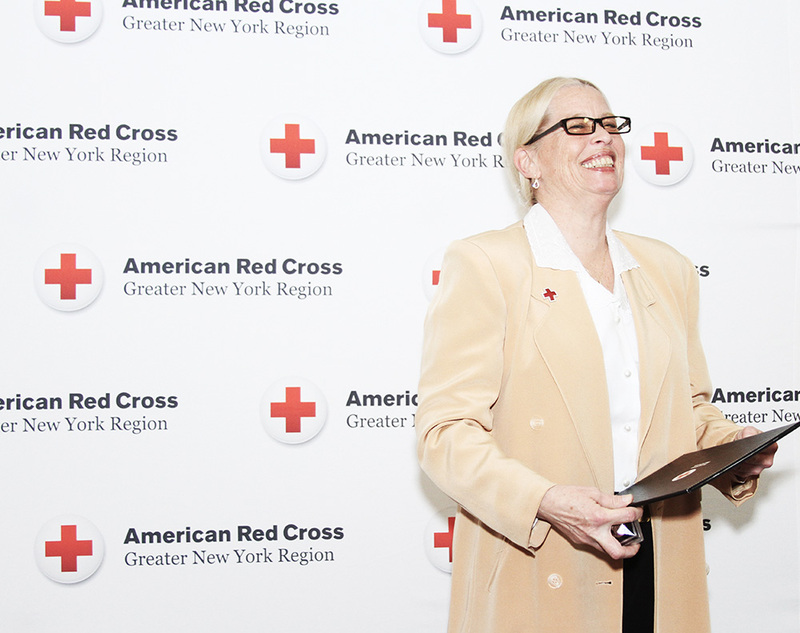 On Wednesday we honored our dedicated New York City volunteers at our annual Awards and Recognition Ceremony. The highest honor of the night, the Clara Barton award, was given to Oonagh Turrito, who was also featured on this week’s #MyRedCrossLife Instagram series. Also on Wednesday, Red Cross representatives provided emergency preparedness training to over 200 PS 184 students in Brooklyn as part of our Pillowcase Project initiative. In preparation for Saturday’s Staten Island smoke alarm event, the Red Cross trained with partner groups RSVP and NYSCTF on Wednesday. Calling all golf lovers! Barclays is looking for support at the PGA tour playoffs this summer from August 23-28 in Farmingdale, LI. Among many exciting perks, signing up gets you full admission to the tournament for you and a guest. Learn more about this great opportunity. Don't forget to select American Red Cross as your affiliation when you register! Apr 1-3: The Greater New York Red Cross is holding a 3-day Disaster Response Institute next weekend. Click here for more information on the event. Apr 2: Metro New York North will be holding its annual Red & White fundraising ball. It promises to be a great time! You can find out more here.